A short break can become the holiday of a lifetime . 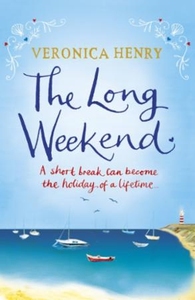 . . A perfect summer read from the brilliant Veronica Henry, author of The Forever House. In a gorgeous quayside hotel in Cornwall, the long weekend is just beginning . . . Claire Marlowe owns 'The Townhouse by the Sea' with Luca, the hotel's charismatic chef. She ensures that everything runs smoothly - until an unexpected arrival checks in and turns her whole world upside-down. The rest of the guests arrive with their own baggage. There's a couple looking for distraction from a family tragedy; a man trying to make amends for an affair he bitterly regrets . . .and the young woman who thinks the Cornish village might hold the key to her past. Here are affairs of the heart, secrets, lies and scandal - all wrapped up in one long, hot weekend.